The flagship tank from Uwell – The Crown, has been redesigned and upgraded! 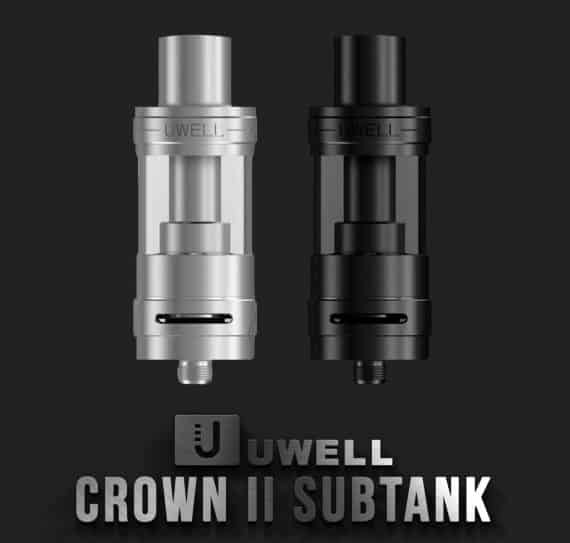 The Crown 2 tank is the newest king of high wattage, sub-ohm tanks, and now features a leak resistant, easy to open top-fill design with larger fill ports. 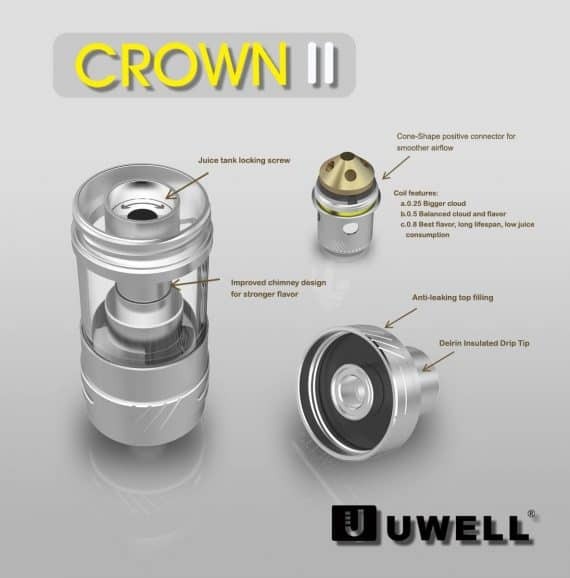 The Crown 2 tank also uses a new chimney design for stronger flavour. 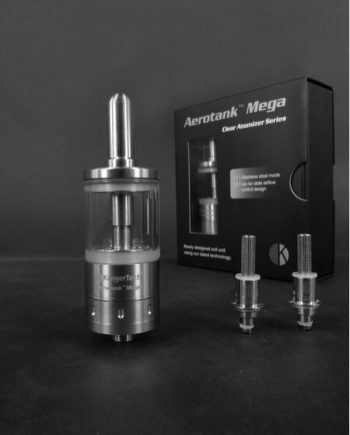 Few tanks have such outstanding build quality. 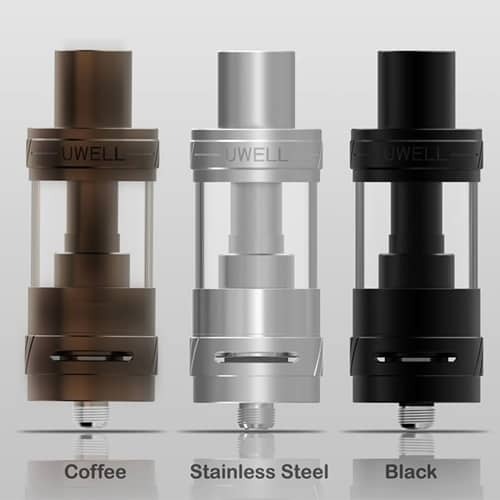 Made with a lockable quartz glass tank which is more durable and heat resistant than Pyrex, the Uwell Crown 2 still offers the flexibility of either bottom or top fill. Purchased this tank with the new limitless box mod and as usual it was outstanding packaging from vapevine and very fast shipping! The mod and tank were both amazing but the only reason I’m giving 4 stars is because the crown 2 coils with the tank lasted maybe 2 days. 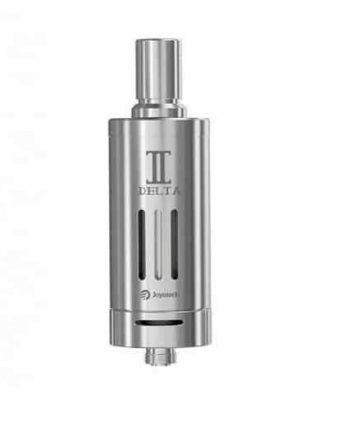 I instead use the Rafael coil heads and so far it’s been my favourite tank. No leaks, spit back and great quality! Last about 2 weeks too. 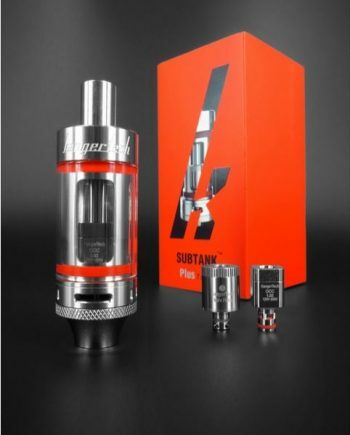 I would highly recommend this tank but hopefully Uwell fixes the coil problems. 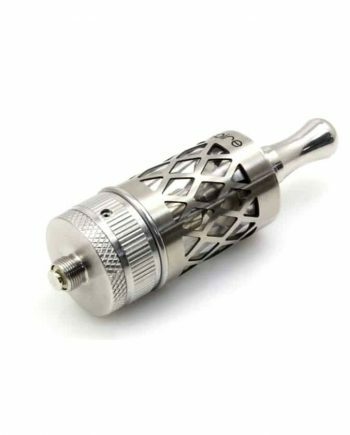 I’ve had the tfv8 and I prefer this if you were choosing between the two!